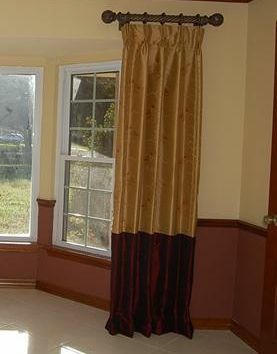 So you've got a simple set of drapery panels as a window treatment. Easy, classic and timeless design. But after a while maybe they get a little boring. How can you change it up without changing it all? 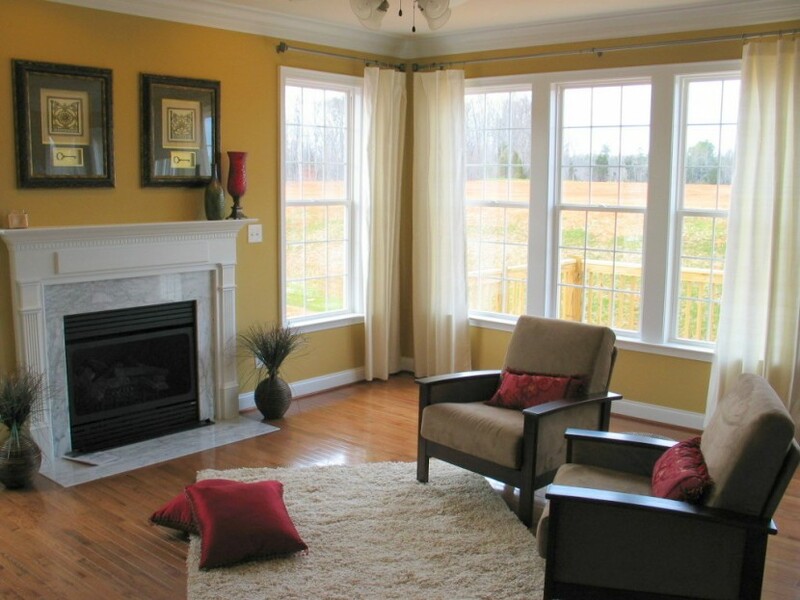 Here are some simple ideas to dress-up existing window treatments. 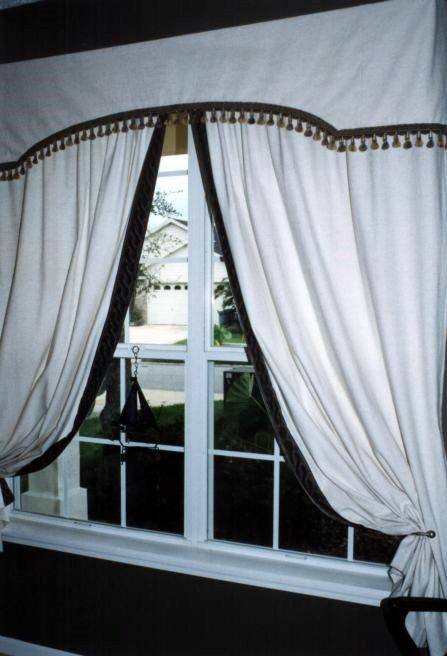 Overlays are valances that hang over the drapery panel alone or across the drapery rod. They can be simple or dressed-up and even reversible! 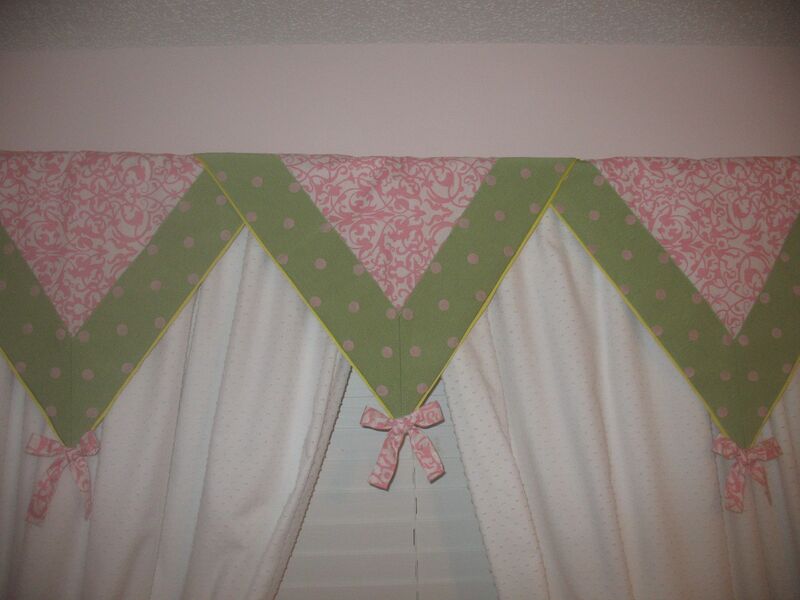 Being easily removable makes this is a fun way to play with trendy or seasonal fabrics without a big commitment. Click on the overlay images below for enlargements! 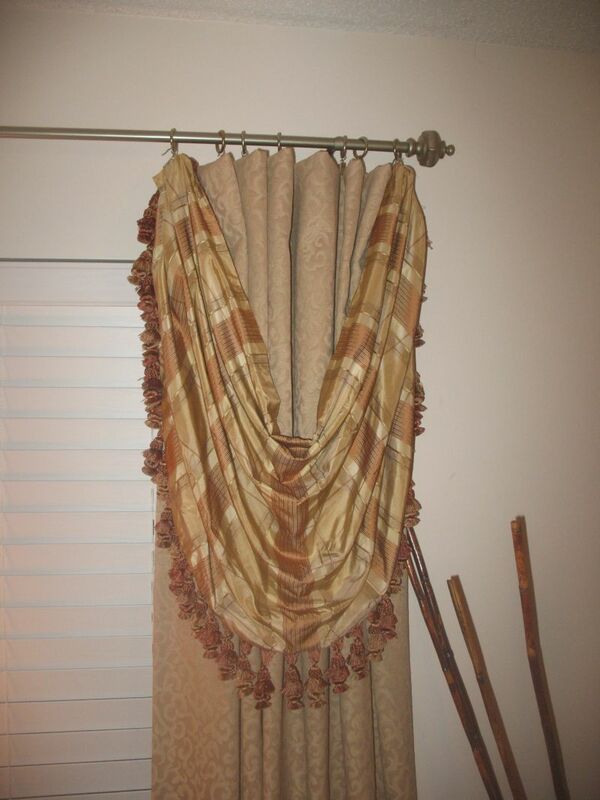 Banding is a great way to revive plain drapery panels. 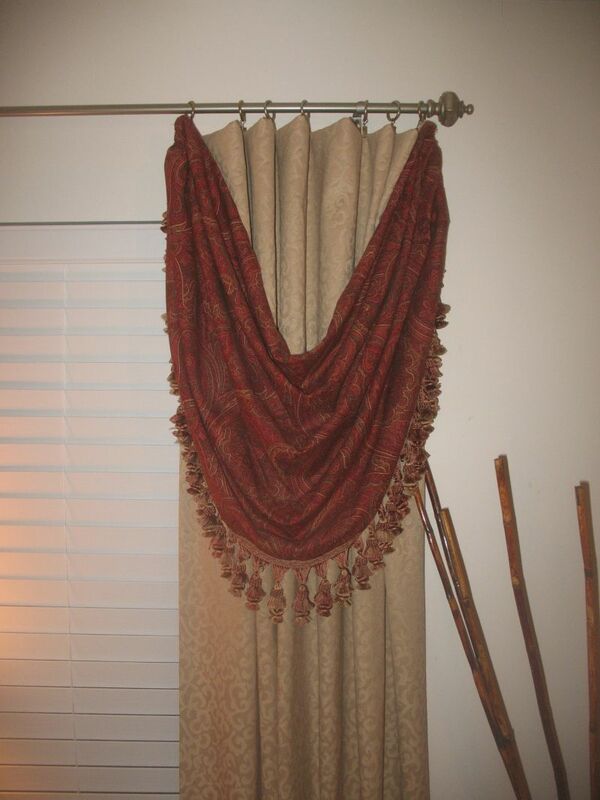 You can add a narrow (say 2-8 inch) band of fabric along the side edge of the drapery panel or a large (18-30 inch) band across the bottom. This works great on solid or small print fabrics to add color or a bolder pattern without being overwhelming. Click on the banding images below for enlargements! 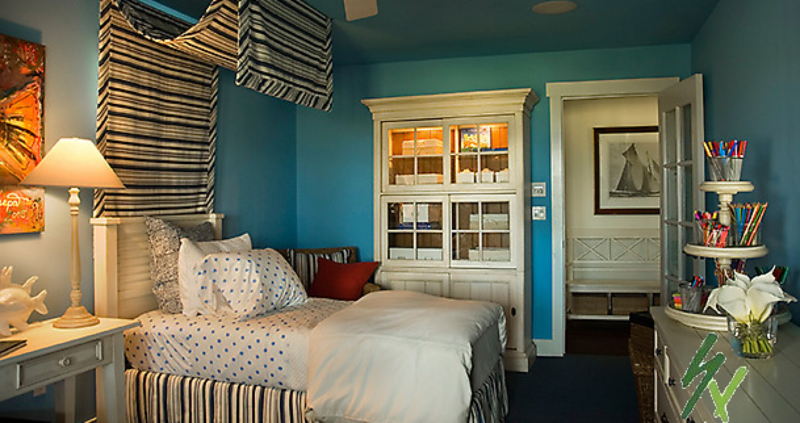 I hope these ideas give you inspiration to try something new in your own Jacksonville home!